"According to the road-book, the bare statistics hide a darker truth about the climb, with some sections touching nearly 21% in gradient. The descent is narrow and technical, with some suggesting that riders would be well-advised to engage in a bit of mid-stage bike-swapping, with a time-trial set-up deemed to lack the agility to cope with the dangers of that downhill…"
When organisers decided to make this penultimate stage a time trial, they perhaps envisaged it as being pivotal to the competition for the Yellow Jersey. They certainly made it tricky enough to encourage significant time gaps between contenders. Although only 31km long, it has a series of awkward undulations, including the difficult Cote de Pinodieta in the final few kilometres, which sees riders climb for 900m at an average gradient of 10.2%. According to the road-book, though, those bare statistics hide a darker truth about the climb, with some sections touching nearly 21% in gradient. And perhaps even more significantly, the descent is narrow and technical, with some online forums even suggesting that riders would be well-advised to engage in a bit of mid-stage bike-swapping, with a time-trial set-up deemed to lack the agility to cope with the dangers of that downhill. That advice may be over-zealous, but it tells us that the stage will probably have some drama within it somewhere. Those betting in-play should be wary of the final 500m, too. Although appearing flat, it actually rises 500m, so expect significant differences between riders in those closing sections depending on how they have paced their efforts. Given his strength in the time trial and the way his form is peaking towards the end of the race relative to his rivals - his attack at the end of Stage 19 demonstrated that unequivocally - then it is natural, I suppose, that Primoz Roglic is the narrow favourite in most lists at around [2.40]. The ex-ski-jumper has finished on the podium in eight out of the last 10 time-trials he's raced and the hilly 31km course will suit. 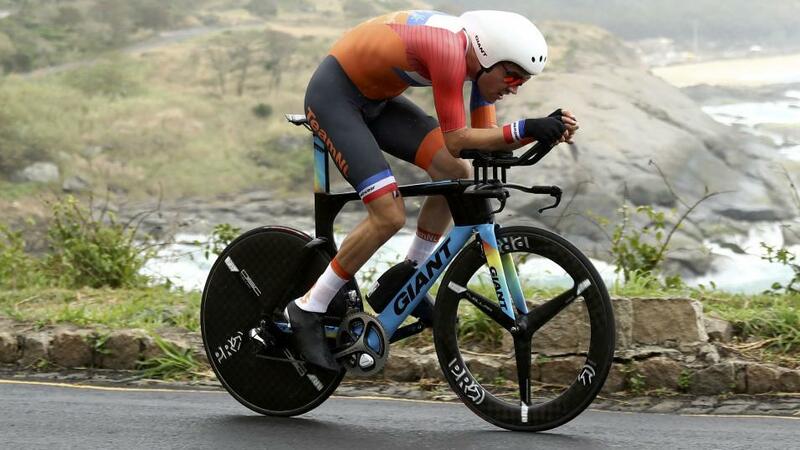 However, it's hard to see why he is a shorter price than World Time Trial Champion Tom Dumoulin ([2.50]). Although their head-to-head time-trial record reads at three-a-piece, most of Roglic's advantage seems to be on short, prologue-esque courses. However, when the course is like Stage 20 here, Dumoulin seems to have the distinct advantage. Indeed, at the 2017 World Championships in Bergen, raced over an almost identical course to this one, Dumoulin bested Roglic by 57 seconds. Provided Dumoulin has the energy reserves, he should beat Roglic. Some kind of case can be made for a whole host of riders, including Castroveijo ([34.00]), Froome ([13.00]), Bodnar ([26.00]), Kwiatkowski ([10.00]), Jungels ([50.00]) and Thomas ([7.00]). They've all performed well in time trials in recent years and should handle the course they are faced with. What's difficult is understanding their various motivations and the form they bring to the time trail after a punishing three weeks of racing. Froome doesn't have a lot to find with Dumoulin on some of their past form, but is unlikely to find enough to secure a stage win here. And Thomas, Castroviejo, Bodnar and Kwiatkowski would likely prefer something faster if they were to show their very best relative to the top two in the market. If desperate for a contrary choice, then Jungels could conceivably cause a shock, but in reality, short of some calamity striking, this should be a head-to-head between Dumoulin and Roglic, with Dumoulin getting the nod. Although not a viable candidate for a stage victory here, it will be worth keeping an eye on Egan Bernal ([400.00]). He's the reigning Columbian time trial champion and won an effective prologue at the Tour de Romandie. It would be no surprise if he finished in the top 10 here, which would further cement his position as a Grand Tour contender of the future. If he were available at a triple-figure odds in the Top 3 market, I might have a few quid on. Julian Alaphilippe mathematically secured the Mountains Classification on Stage 19, and Peter Sagan survived a brief scare in the Green Jersey as it looked, momentarily, as if his injuries from his Stage 17 crash would see him abandon the race. Assuming they both negotiate the tricky descents in the time trial, those markets are now effectively closed. Pierre Latour is the French time trial champion, so should have no problem securing the White Jersey, where he holds nearly six minutes in hand over Egan Bernal. Bernal might close that gap by the day's end, but not significantly. As for the Yellow Jersey, only misfortune or mishap can deny Geraint Thomas now. By my reckoning, even if riding conservatively, he should be able to finish within a minute of both Dumoulin and Roglic, which would be comfortably enough to secure the top spot in Paris.